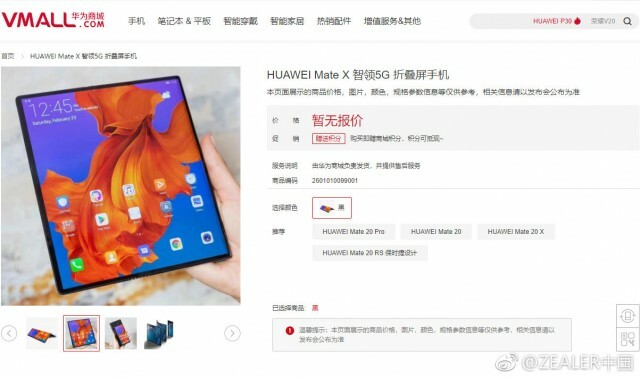 The Huawei Mate X will be available later this year, but the company has been pretty vague about the launch date. A slip-up on Vmall (a Huawei-run online retailer) may have spoiled the mystery, however. A page for Huawei’s first foldable phone (which is also its first 5G phone) went up, showing a June release date. That page has since been taken down. Officially, the Mate X will be available in mid-2019 at a price of €2,300. The specs of the phone are, of course, no secret – we even have a video preview if you want more details. I can't afford this phone, but I can't wait for it to become available in stores, so that I can go play around with one!